Great to book with klook, no hassle and no line up straight into the aquarium. Was time saving and an awesome experience! With over 13,000 marine animals, explore Australia's extraordinary and colorful sea life at the Sydney Sea Life Aquarium. 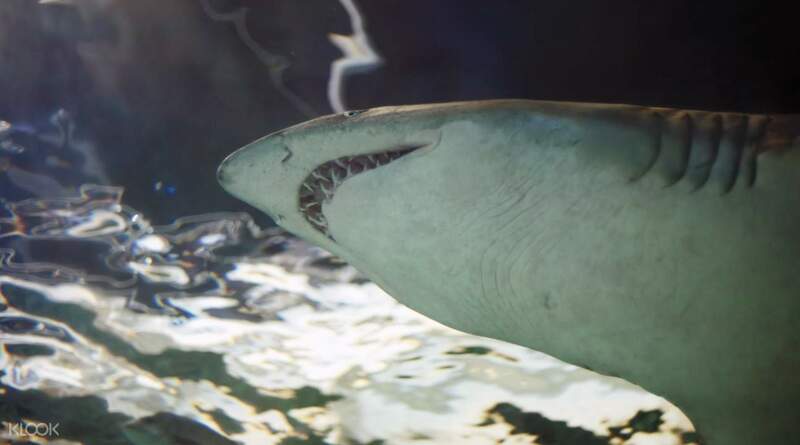 Face your fears at the Shark Walk and Valley and watch as grey nurse and lemon sharks glide over your head. Stop by and say "hi" to the two friendly dugongs Pig and Wuru, who are two out of six dugongs on display in the whole world. If you don't have a chance to see the actual Great Barrier Reef, you can still encounter some of its most unique marine life at the Reef Theatre and the giant floor to ceiling display. 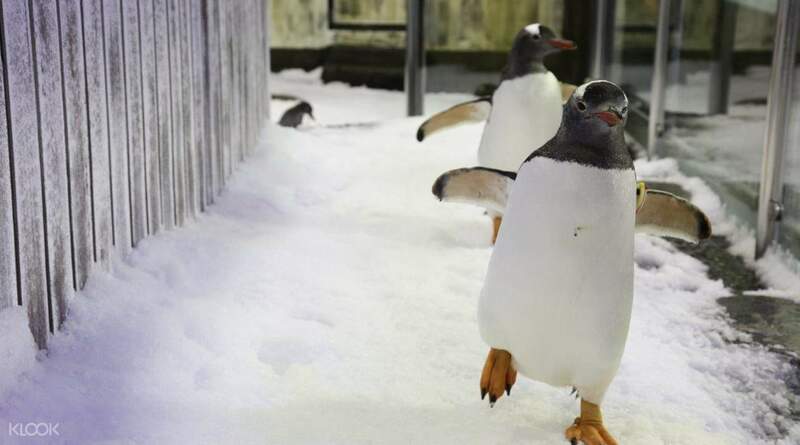 You will also have a chance to meet Spinner, the youngest penguin at the aquarium, and Mr. Black and Pinksta, the cute little mischievous penguin couple. 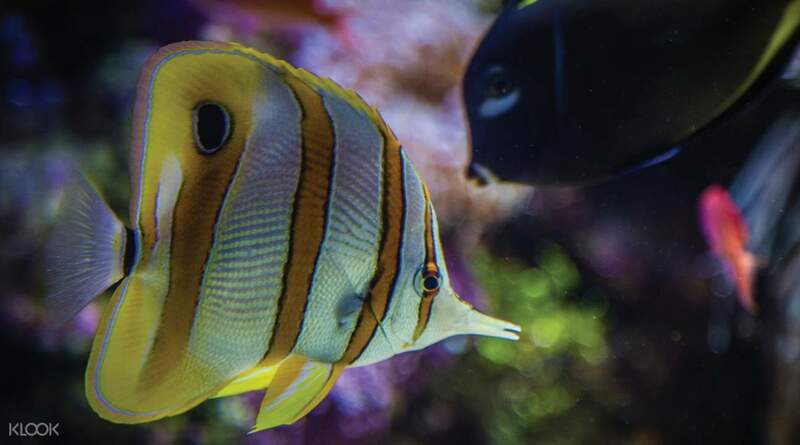 The aquarium is packed with 14 different zones, including the newest attraction - Day & Night on the Reef - that offers an interactive experience featuring state of the art technology and over 500 sea creatures. From the hands on experience at the Discovery Rock pool to the Jurassic Seas - there is a zone for everyone to enjoy! They have a dugong which you will not see anywhere else and a penguin water ride (only lasts 2 mins) that allows you to get really close and great views of the penguins. Plus the video stories about each penguin are brilliant. It takes about 2-3 hours to go round so if you can, definitely couple this with the wildlife zoo next door - especially as Klook do a double ticket for both. They have a dugong which you will not see anywhere else and a penguin water ride (only lasts 2 mins) that allows you to get really close and great views of the penguins. Plus the video stories about each penguin are brilliant. It takes about 2-3 hours to go round so if you can, definitely couple this with the wildlife zoo next door - especially as Klook do a double ticket for both. entering the aquarium was pretty quick since you don't need to queue separately to redeem the tickets; open date ticket was quite convenient since we had to change our itinerary. the aquarium was smaller than we expected so there wasn't as much diversity in the animals we saw. also, despite going on a weekday it was a little too crowded. overall though, it was worth going for the price we paid. entering the aquarium was pretty quick since you don't need to queue separately to redeem the tickets; open date ticket was quite convenient since we had to change our itinerary. the aquarium was smaller than we expected so there wasn't as much diversity in the animals we saw. also, despite going on a weekday it was a little too crowded. overall though, it was worth going for the price we paid. Such a wonderful aquarium! Actually this is the second time I visit the aquarium, and it has upgraded the whole experience with newly added the penguin ride! Very good and convenient pass! Such a wonderful aquarium! Actually this is the second time I visit the aquarium, and it has upgraded the whole experience with newly added the penguin ride! Very good and convenient pass! Great to book with klook, no hassle and no line up straight into the aquarium. Was time saving and an awesome experience! Great to book with klook, no hassle and no line up straight into the aquarium. Was time saving and an awesome experience! It’s good experience. At the same time, pls improve by upgrading the facility’s to match advance technology. As we have visited Singapore SEA Aquarium, the view is similar or may be below the average. It’s a good and different experience. Btw, we also recommend to arrange for car parking for all the visitors so it’s easy for us to park our rented cars rather looking for parking outside location. Thank you. It’s good experience. At the same time, pls improve by upgrading the facility’s to match advance technology. As we have visited Singapore SEA Aquarium, the view is similar or may be below the average. It’s a good and different experience. Btw, we also recommend to arrange for car parking for all the visitors so it’s easy for us to park our rented cars rather looking for parking outside location. Thank you. We enjoy the Sydney Aquarium. Very good experience. No need to wait for a long que. Just presented the voucher and got straight to the aquarium. It was fun experience for us. We enjoy the Sydney Aquarium. Very good experience. No need to wait for a long que. Just presented the voucher and got straight to the aquarium. It was fun experience for us. The most incredible part is the Great Barrier Reef. Lots of different corals. The staff must have used quite some time to set it up. Well deserves some applause. One disappointing thing is that the penguin ride is not working. It takes time to await the fix and we decide to just go... other than that, still a lovely aquarium to visit. The most incredible part is the Great Barrier Reef. Lots of different corals. The staff must have used quite some time to set it up. Well deserves some applause. One disappointing thing is that the penguin ride is not working. It takes time to await the fix and we decide to just go... other than that, still a lovely aquarium to visit. Sea aquarium is high recommended for both children and adults! 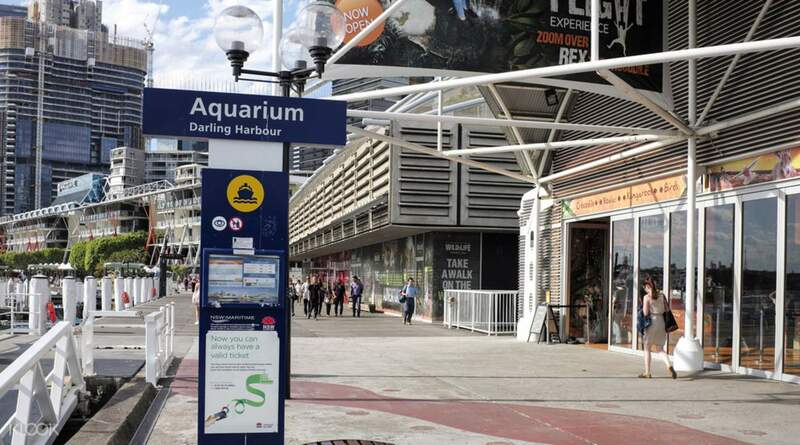 It’s is located just beside Darling harbour and just have to scan the barcode for entry. There are many species there and one of the highlights is the penguin, they are so cute and we can take a close up pic of these little penguins! We spent around 2 hours there and it was amazing! 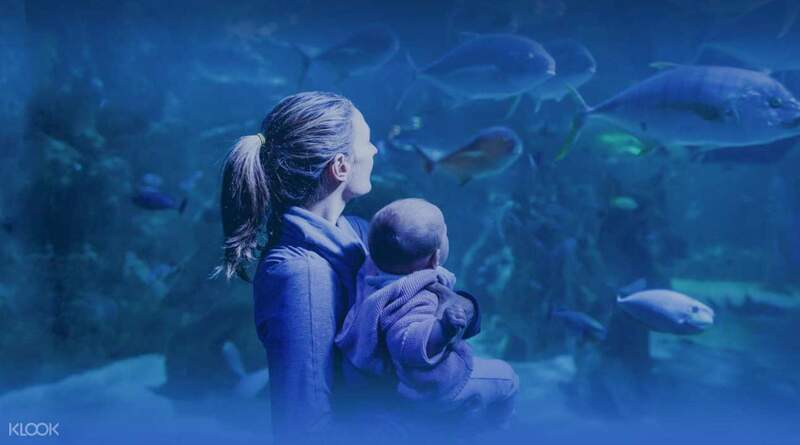 Sea aquarium is high recommended for both children and adults! It’s is located just beside Darling harbour and just have to scan the barcode for entry. There are many species there and one of the highlights is the penguin, they are so cute and we can take a close up pic of these little penguins! We spent around 2 hours there and it was amazing!